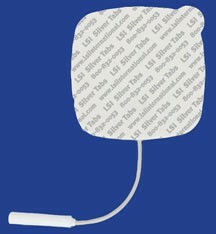 Current Solutions' is a leading supplier of TENS, EMS, IF, electrodes, lotions and topical analgesics. They carry one of the largest lines of electrotherapy devices and accessories in the industry. If you have patients that suffer from chronic pain, electrotherapy products can help break the pain cycle and aid in the normal healing process. Whether you are using electrotherapy for the treatment of back pain, sport injuries or general muscle pain, a wide variety of TENS units are available to choose from. They also offer a wide variety of ultrasound units to help patients suffering from deep and painful inflammation, joint restriction and swelling. Further their high frequency devices stimulate the tissue beneath's the skin's surface penetrating up to 25 cm below the surface of the patient's skin to enhance the healing process and reduce swelling. You will also find a wide variety of conductive garments and braces designed to be used in conjunction with a variety of electromedical devices both in the home and the clinical setting. The garments are designed with a unique material consisting of a conductive silver mesh and can stimulate large or multiple areas without skin irritation. Besides the electrotherpy products, the ultrasound units and the conductive garments, the Current Solutions catalog also features electrotherapy accessories, professional devices, braces, therapeutic pillows, orthopedic braces, treatment furniture and home care products. Visit them online to preview their extensive product line. The Hill HF54 is is the first and only ultrasound system cleared by the FDA for hands-free use. The HF54 eliminates the two most common application errors associated with traditional manual ultrasound treatment errors shown to reduce the effectiveness of ultrasound. These errors are: Treating for less than 10 minutes AND treating too large of a surface area. The unique design and application of the HF54 addresses both of these common errors effeffectively. HF54 produces an even distribution of sound waves throughout its large (3 5/8") soundhead. Low frequency ultrasound is therefore safely focused on a particular treatment area. Two channels of interferential and premod current are also included with the unit. 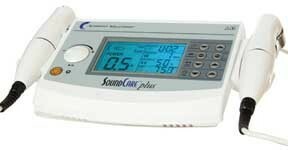 Premod can be used in combination with ultrasound directly through 1 or 2 soundheads. The Horizon, a powerful 2" diameter red (660nm) and infrared (880nm) light probe is available as a plug-in with the HF54 or as a Standalone. Stimulation, both soundheads and Horizon light therapy can be used at the same time. The Hill HF54 is priced at $2945. Visit www.hilltherapy.com for learn more. 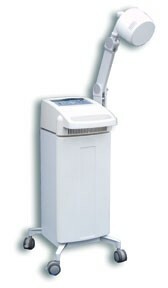 LiteCure, LLC is the developer and manufacturer of the LCT-1000® Deep Tissue Therapy Laser which has FDA 510K clearance for pain management and is a medically recognized treatment for pain and inflammation. Laser therapy is a surgery-free, drug-free, non-invasive method of reducing pain and inflammation, and increasing microcirculation. LiteCure’s LCT-1000 provides Class IV deep tissue therapy, a scientifically based laser modality that allows for shorter treatment times and increased clinical outcomes. The LCT-1000 delivers deep, penetrating, photonic energy to rapidly initiate the physiological changes needed to facilitate healing. ATP (Adenosine triphosphate) production is increased, inflammation and pain is reduced, and circulation is increased at the site of the injury. These changes in cellular chemistry are triggered by the LCT-1000, making it a true healing modality. And, LiteCure’s patented Massage Ball hand piece provides a soothing massage while the deep tissue laser therapy is taking place. LiteCure’s LCT-1000 is a valuable tool not only for clinicians’ offices but also for sports rehabilitation centers and wellness facilities. Worldwide, there are over 30 professional sports teams who rely on the LCT-1000 for effective relief of pain and inflammation, both before and after training sessions and competitions. 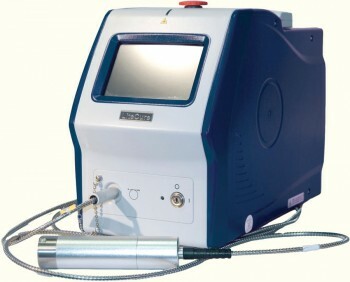 In addition to its routine use by professional sports teams, the LCT-1000 was also used by the U.S. Men’s and Women’s Basketball teams and the American and Canadian Equestrian teams at the 2009 Beijing Olympics; its sister product, the Pegasus Therapy Laser® was used to treat the horses. LiteCure provides in-office demonstrations and first-rate clinical support. Founded in 1957 by engineer and inventor, Hal Mettler, Mettler Electronics is today a leader in portable ultrasound and electro-stimulation therapy equipment used in chiropractic, physical therapy and sports medicine. 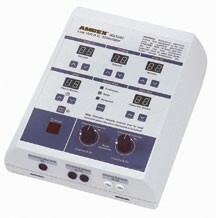 The Auto*Therm® 391 is Mettler Electronics’ shortwave diathermy for the future. With either continuous or pulsed modes, chiropractors can provide the gentle, deep heating effects of this modality to their patients. This provides soothing deep heat targeted to help relieve pain and reduce muscle spasms prior to or after manipulation. This increase in tissue temperature also increases local circulation and helps increase range of motion in the treatment area. There are two different forms of application—the deep penetration of inductive coil diathermy or the capacitive soft- rubber plates that surround a joint with more superficial warmth. The Auto*Therm 391 features a sturdy cart with an arm designed to precisely and securely position the inductive drum on the patient’s body. The cart also provides storage space for all of the other accessories that come with the Auto*Therm. Large locking wheels make it easy to move the Auto*Therm around the clinic. To receive a free color brochure describing the Auto*Therm® 391, contact Mettler Electronics at 800- 854-9305 or visit their website at www.mettlerelectronics.com. Richard Wolf Medical Instruments Corporation (MIC) has announced the U.S. launch of its WellWave focused energy system for the effective, non-surgical treatment of chronic and acute musculoskeletal pain. Featuring Richard Wolf’s exclusive piezoelectric acoustic energy generation system, the WellWave delivers precise healing energy that emulates the effects of a focused manual deep-tissue massage to stimulate the body’s natural healing response. The system is an effective, ergonomic alternative to the physical effort and exertion required in conventional massage therapy, reducing the muscle fatigue and the potential of repetitive stress injury for the therapist and enabling the treatment of more patients during the day. 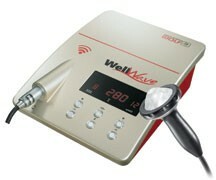 The WellWave system’s piezoelectric energy is safe, effective and affordable, delivering variable power and depth penetration to treat a wider range of applications, including muscular mandibular joint pain, cervical, thoracic and lumbar spine pain and discomfort in the hip, lower and upper extremities. A study published by the American Academy of Medical Acupuncture found that the use of a piezoelectric device shortened the treatment time for acute back and neck pain by 2-3 days and reduced the use of anti-inflammatory medications by 11 percent, muscle relaxers by 28 percent and codeine-derived pain formulas by 29 percent with no adverse effects. The WellWave system delivers variable-intensity, focused pulse shockwave treatment to the affected area with less trauma to surrounding tissues. With 20 intensity settings and penetration depth adjustment between 0 to 30mm, the WellWave allows for the accurate control of therapeutic energy with multiple applicators for the in-office treatment of a wide variety of conditions. Are you seeing patients with diabetic neuropathy, low back pain, carpal tunnel syndrome or nerve injuries? Are you referring them out for EMG and Nerve Conduction studies? TeleEMG will train and set you up with a full-fledged EMG and Nerve Conduction practice in your office with your own machine. Discover the benefits of a practice in EMG and Nerve Conductions in less time than you ever thought possible. The EMG starter package includes a handheld Focus EMG machine that is FDA 510(k) approved as a two channel EMG machine (K102610), two-day hands-on training with one of their technicians, and all the supplies to get you started including surface and needle electrodes, instructional DVDs for both NCV and EMG testing. Access your EMG study results instantly in the cloud from your (included) iPad Mini or any other internet connected device with their state-of-the-art software analysis and visualization tools. An iPad Mini loaded with FaceTime is the next best thing to having an EMG tech present in your office whenever you need support or have questions regarding your device or performing NCV/EMG tests. Stop referring your patients out. 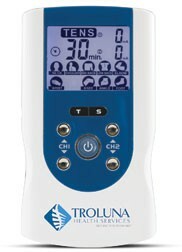 Troluna Health Services Durable Medical Equipment program is a special partnership with the doctor that makes it easy to add DME such as TENS units, Combo units, Lumbar Supports, Traction and much more to their patients' care. Troluna Health Services mission is to help patients be pain-free while improving their overall quality of life with durable medical equipment. Troluna Health Services offers various products to help grow a chiropractic business and help to treat patients under chiropractic care with superior quality equipment. According to Troluna, "Providing our doctors and patients with one-on-one personal attention gives us the edge over our competition. We constantly work with distributors to bring our customers the latest and most reliable products possible. Our success here at Troluna Health Services is built on our outstanding customer service. We are very proud to note that Troluna has been consistently ranked "superior" in our customer satisfaction surveys." With Troluna, doctors have another viable option that can mitigate patients' pain in the comfort of their home and between scheduled office visits. For more information on how Troluna Health Services and their product line can add significant clinical value to your practice, visit their website at www.troluna.com, call the company at 855-487-6586.